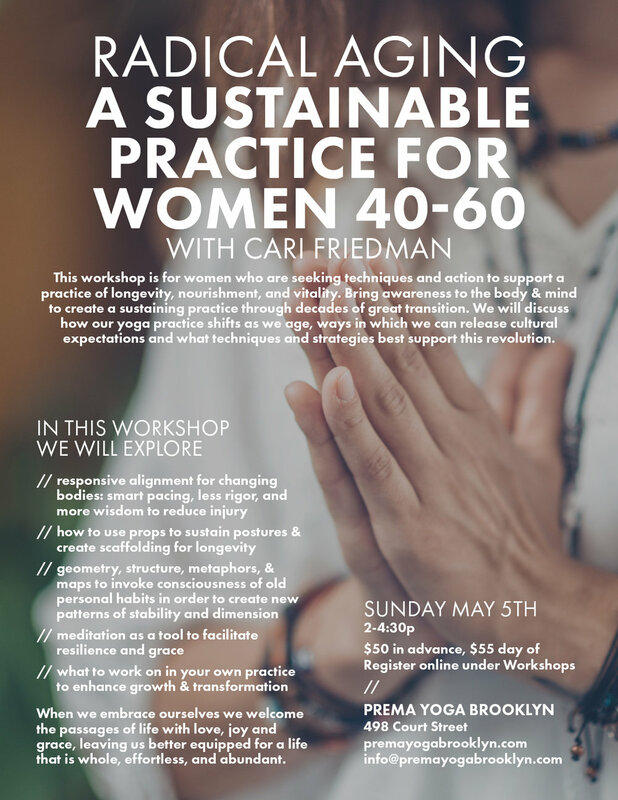 This workshop is for women who are seeking techniques and action to support a practice of longevity, nourishment, and vitality. Bring awareness to the body & mind to create a sustaining practice through decades of great transition. We will discuss how our yoga practice shifts as we age, ways in which we can release cultural expectations and what techniques and strategies best support this revolution. When we embrace ourselves we welcome the passages of life with love, joy and grace, leaving us better equipped for a life that is whole, effortless, and abundant.